The new Manukau District Courthouse has now been opened after a $51 million upgrade designed to prepare one of New Zealand’s busiest courthouses for the future. Receiving about 11 percent of the country’s criminal cases and eight percent of its family cases each year, the courthouse is one of the busiest in the country. Building upgrades include four new jury trial courtrooms, additional hearing rooms, holding cells and improved judges’ facilities. Justice Minister Amy Adams said the project was one of the government’s largest investments to date with an aim to refurbish the courthouse for future use. “It has been redesigned to handle an increase in business stemming from a forecast rapid population growth in the region over the next 20 years,” she explained. The revamped interiors also come with state-of-the-art equipment with one of the courtrooms featuring secure witness technology allowing evidence to be presented via video from an external room without putting the witness in direct contact with the defendant. “We want to ensure our justice system is focused on the needs of victims and this upgrade will allow victims to give evidence in a more comfortable way,” Adams said. 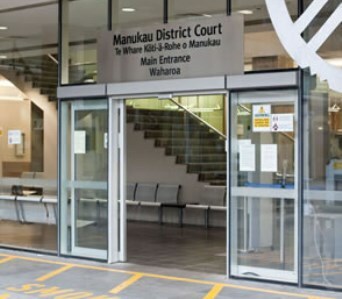 The Manukau District Court is also the pilot for new programs which plan to reduce court delays by promoting inter-agency liaisons for users. This includes double session sentencing as well as new procedures for Department of Correction reports and Warrants to Arrest.